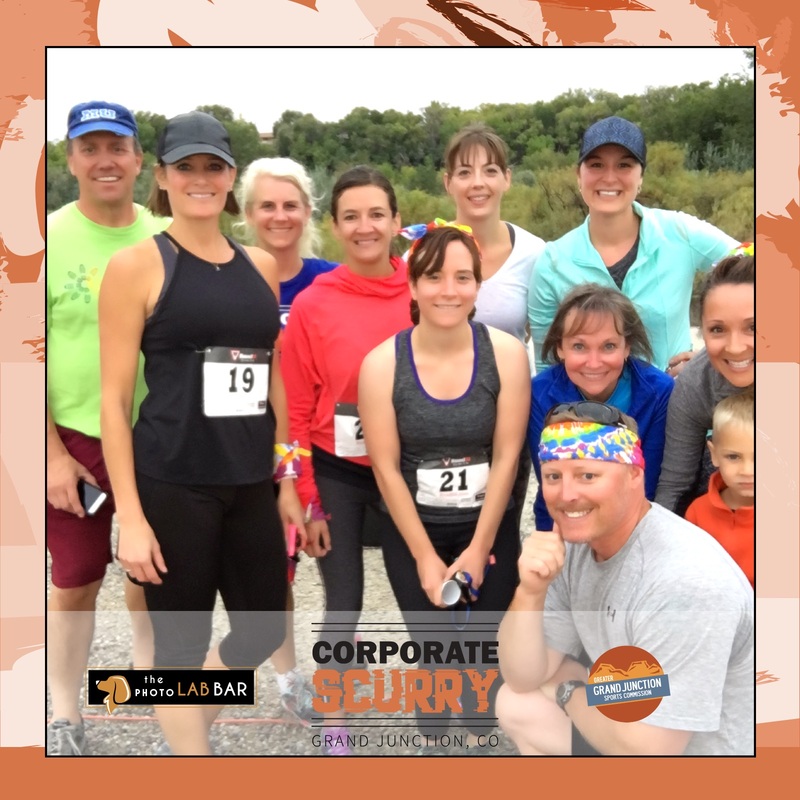 Katie Shamblin, Physical Education Teacher at Lincoln Orchard Mesa Elementary, was trained this fall to teach the Safe Routes to School program and signed up for the mobile bicycle classroom immediately. "It was so worth all the setup and pack up every day to have six students riding at the end of the week who had never ridden a bike without training wheels before!" she said of the experience. The goal of the Safe Routes to School program is to enable more school-aged children to walk and bike to school more often. Learn more about the program at https://rtpo.mesacounty.us/. Lincoln Orchard Mesa Elementary has been teaching road-safe bicycle and pedestrian skills to students since 2013, reaching over 1,500 students at this school alone. Even when staff turnover occurs, the Safe Routes to School program has continued at Lincoln Orchard Mesa Elementary. Exercise is good for physical health – and for mental health. Walking or wheeling to school (or work!) is a great way to fit a little exercise into your life. Even if you can’t walk or wheel the whole way, think about walking or wheeling for part of the way. Even just a half-mile could make a noticeable difference in your mood. October is Walk and Wheel to School Month in Mesa County. 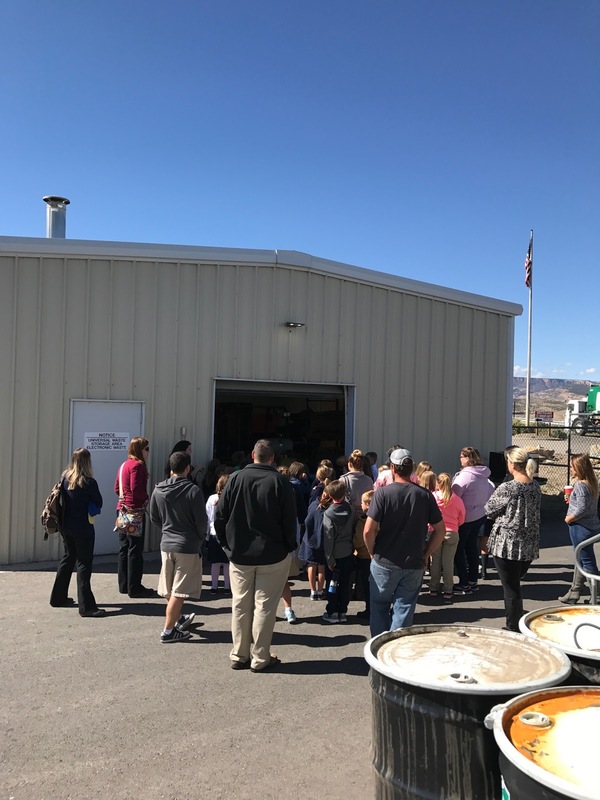 Mesa County Solid Waste Operations Manager Amber Swasey gives the first solid waste campus tour of the school season to Caprock students and discusses what is done with the electronic waste received on an annual basis at the facility, which is roughly about 300,000 lbs. Mesa County Solid Waste is piloting a new program to increase efficiency at the facility. Stay tuned for more. On Tuesday, Mesa County Road and Bridge Equipment Operator John Flemming was one of many crew members that have started to haul approximately 500 tons of salt from the salt mine in Redmond, Utah to be used on county roads this winter. 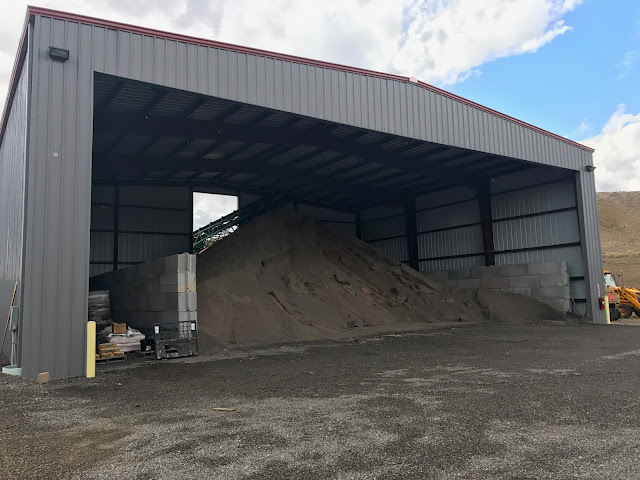 After the salt was delivered, Equipment Operator Jarrod Houck (in loader) moves the salt to be mixed with chat gravel and then stored in a sand shed for later use. The Mesa County Road and Bridge Department is ready for winter. Their sand shed is stocked and ready to go. Learn more about the county's snow removal program at http://blog.mesacounty.us/2016/11/countys-snow-removal-program.html. 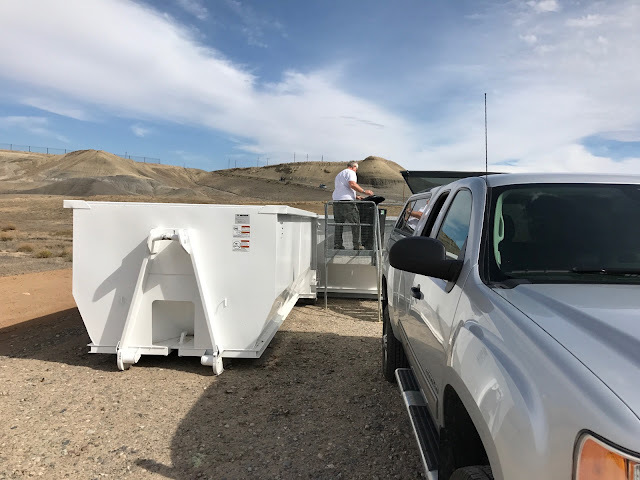 Mesa County Road and Bridge staff members, Matt Woodring (left), Todd Reed and Thomas Hillard, use a drain jet-vac truck to clean a storm drain line on D 1/2 Road. The Grand Valley Kennel Club is hosting a four-day (Sept. 28 through Oct. 1) AKC All Breed Dog Show at the Mesa County Fairgrounds, 2785 Highway 50. The Grand Valley Kennel Club was founded in 1965 in Grand Junction, Colorado. 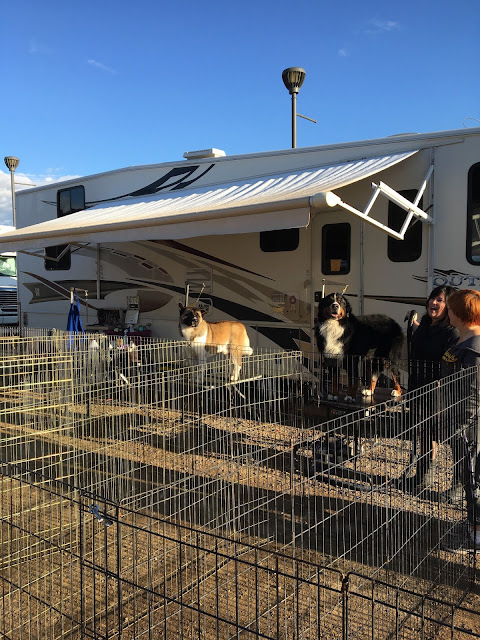 For more information, visit http://grandvalleykennelclub.org/About-Us.html. Let the show begin! 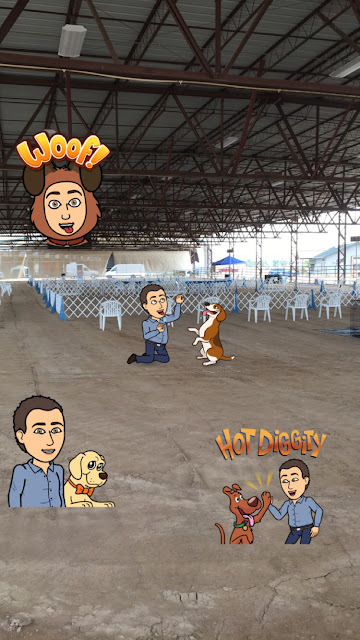 The all breed dog show, obedience trials and rally trials are held under American Kennel Club rules and regulations. See the program here. Grand Valley Kennel Club dogs get ready for their presentations. Of course, you have to have your hair done prior to a performance. 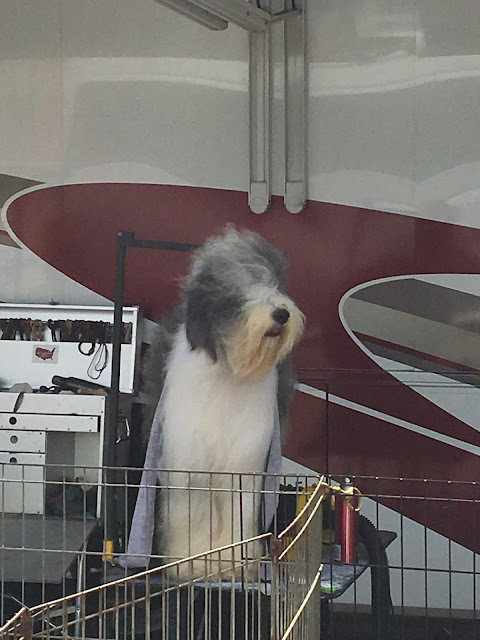 These dogs are fancy! 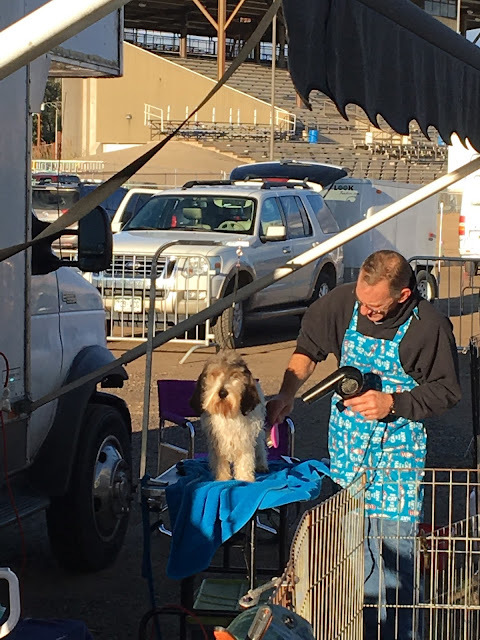 A dog gets trimmed and ready to show at the AKC All-Breed Dog Show at the Mesa County Fairgrounds. When it's a little windy, but you have a blanket on. No big deal. Messy hair don't care. 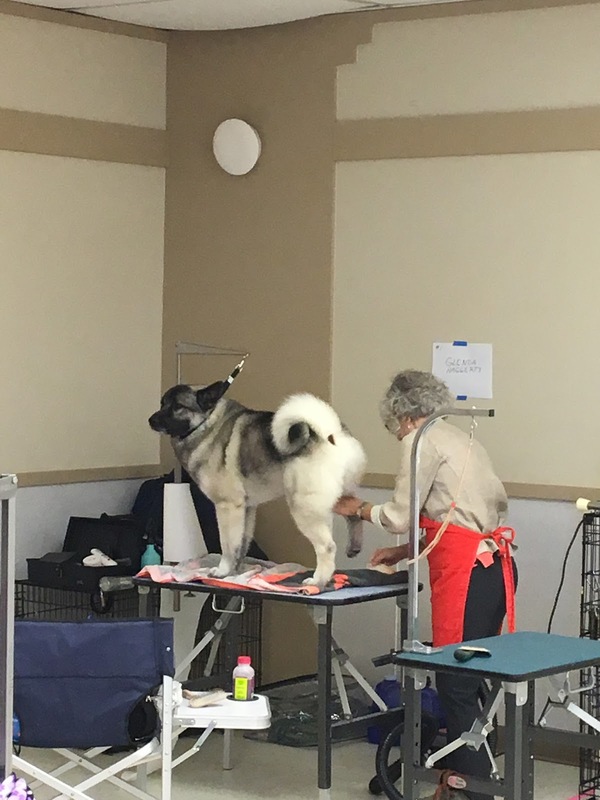 All-Breed Dog Shows are a process of elimination where the judges select one dog from each breed to advance to the Group competition. Once a winner is chosen to represent each of the 7 Groups, they go head-to-head for Best In Show. This guy looks like a winner! 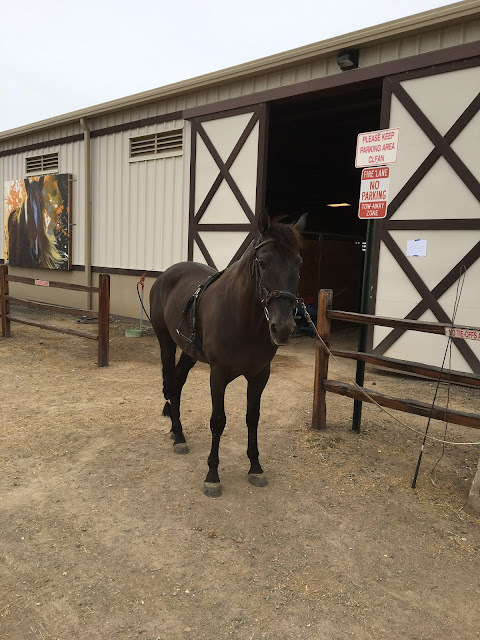 Tonight at 7 p.m. an equestrian ballet featuring a variety of royal breed horses and quarter horses can be seen during the Gala of the Royal Horses at the Mesa County Fairgrounds, 2785 U.S. Highway 50. 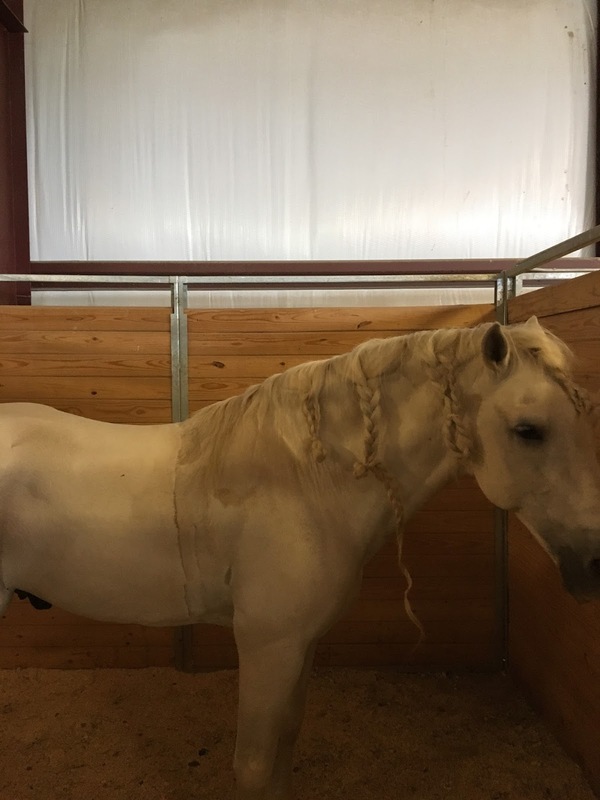 "The Royal Horses of Europe are some of the most celebrated in history, favoured for centuries by royalty, equestrian riders and bullfighters and this performance will celebrate the tradition, athleticism and grace of these revered creatures," according to The Royal Horses website about the event. Read more at galaoftheroyalhorses.com. 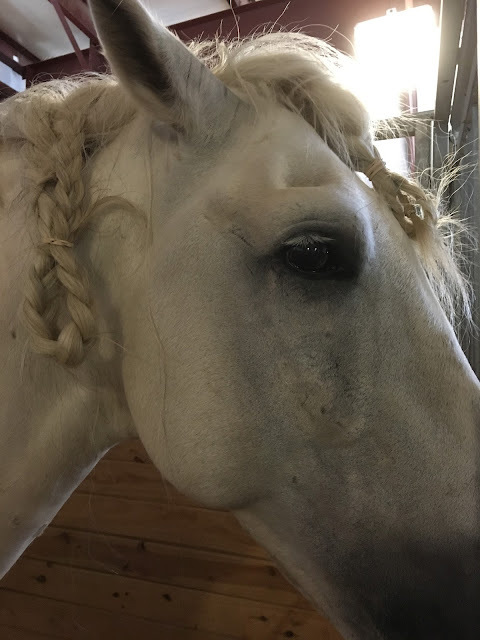 The Gala of the Royal Horses will only be in Mesa County for one night, so don't miss out. 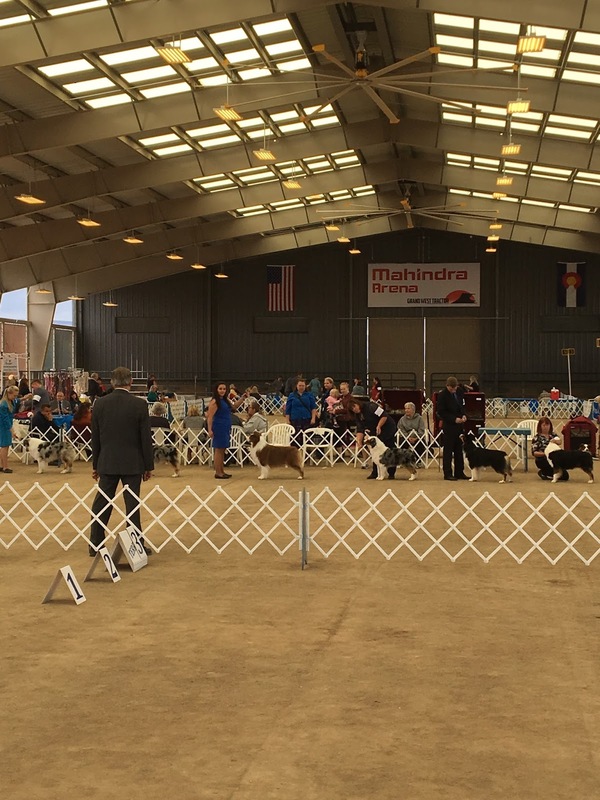 The event happens tonight at 7 p.m. at the Mesa County Fairgrounds. 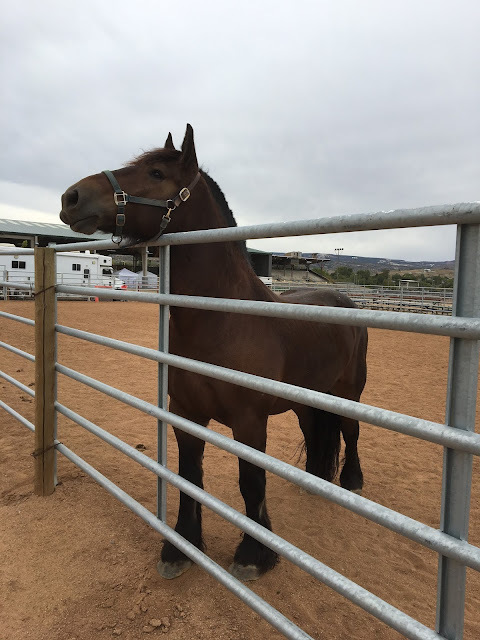 Tickets for the Gala of the Royal Horses at the Mesa County Fairgrounds can be purchased at monumentalevents.com or by calling 800-626-8497. 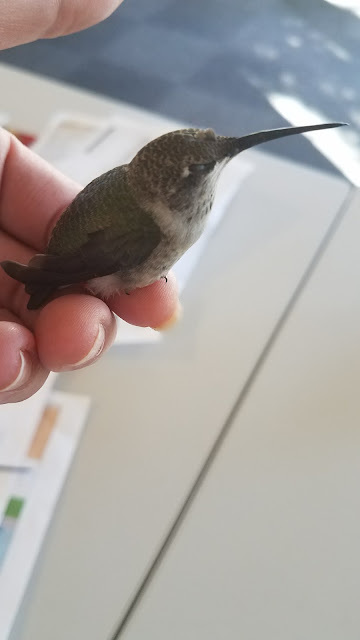 A hummingbird that crashed into the window at the Mesa County Fairgrounds office fell upon impact from injuries sustained. Fortunately for the tiny injured bird, Mesa County Fairgrounds Administrative Coordinator Linda Robinson was able to go to its rescue. Linda held the hummingbird for about 10 minutes before releasing it back into the wild. Mesa County Public Health had a blast running the 2017 Corporate Scurry 5k together Sept. 27! Commissioner John Justman is interviewed by KREX News Channel 5 about the letter the Board of Mesa County Commissioners sent to the Bureau of Land Management on Monday. 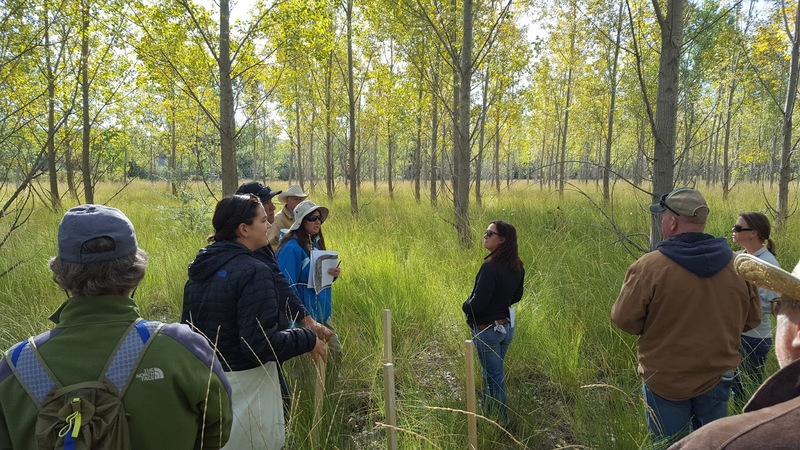 “We concur with the Department of Interior’s findings that the 2015 final rule ‘unnecessarily burdens industry with compliance costs and information requirements that are duplicative of regulatory programs of many states and some tribes,” the Board wrote to the BLM. See the interview here. Mesa County Commissioner Rose Pugliese talks to KKCO News Channel 11 about the recent announcement by Veresen of their application filing with the United States Federal Energy Regulatory Commission (FERC) for Jordan Cove Energy Project and Pacific Connector Gas Pipeline. See the interview here. Mesa County Elections Coordinator Jesse Redmond (center) assists in the Logic and Accuracy (L&A) Test at the Mesa County Elections office, 200 S. Spruce St. 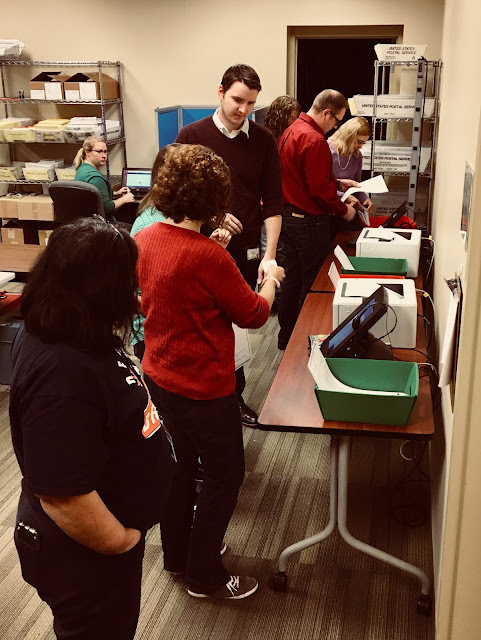 The test is designed to verify that the ballot counting program for the election is properly reading and tabulating votes. 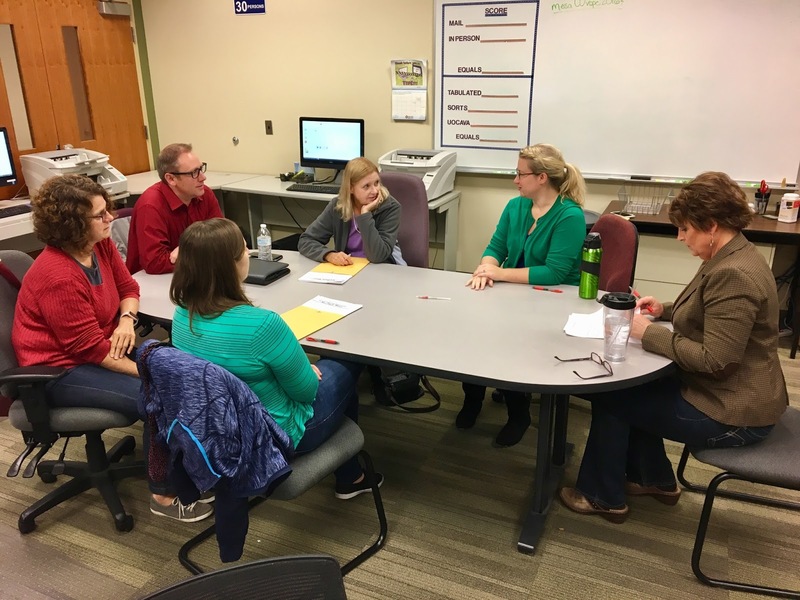 Mesa County Clerk and Recorder Sheila Reiner (right) and Mesa County Elections Director Amanda Polson (center-right) sit with representatives from the county's Republican and Democratic parties as they commence the test to verify the integrity of the voting equipment. 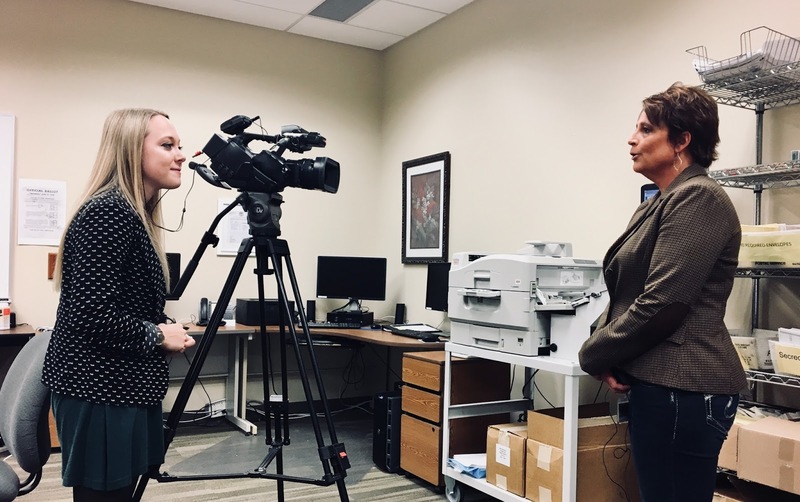 A reporter from KKCO News Channel 11 interviews Mesa County Clerk and Recorder Sheila Reiner interviews regarding the details of the Logic and Accuracy (L&A) Test, which is designed to verify that the ballot counting program for the election is properly reading and tabulating votes. 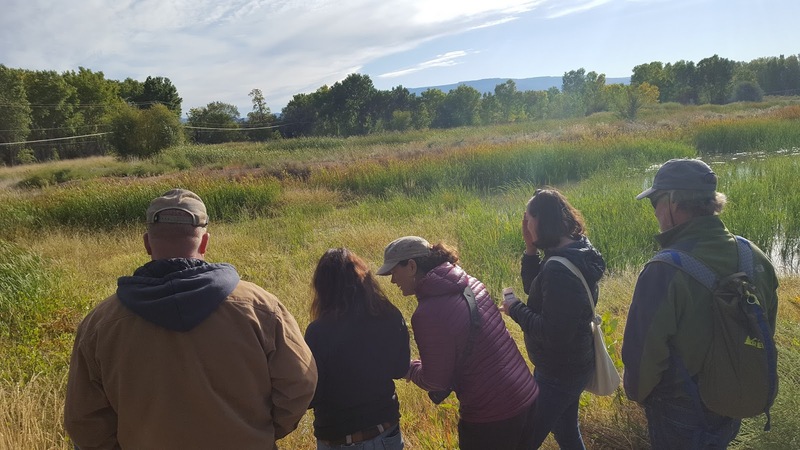 Melissa Werkmeister with the U.S. Bureau of Reclamation (USBR) hosted a tour of the local Wildlife Areas for land managers and restoration specialists. 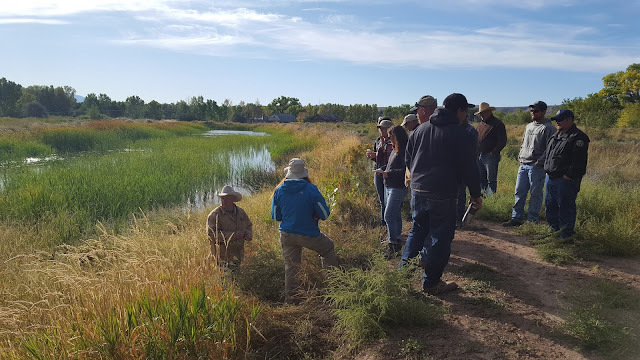 Mesa County employees from Planning, Engineering and Weed Management attended the tour of USBR Wildlife Areas to learn restoration techniques to help create wildlife habitat. 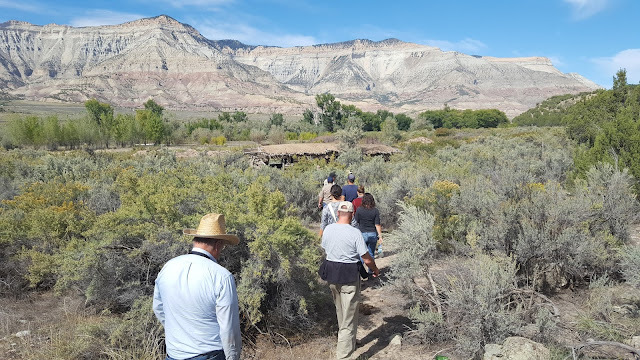 Employees from Colorado Parks and Wildlife, Colorado National Monument, US Fish & Wildlife and Mesa County toured the Grand Junction Wildlife Area near the Gunnison River. 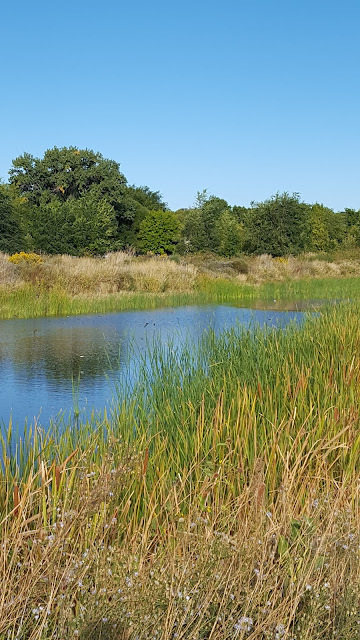 These USBR Wildlife Areas are open to the public and are popular with bird watchers. The tour of the DeBeque Wildlife Area included a look at a historical homestead with a sod roof!